Scott Eastwood has been gaining lots of attention in recent days. Son of the famous Clint Eastwood, Scott “Clinton” Eastwood is making his debut as a main character in the soon to be released movie, The Longest Ride. In this film, he will be playing the part of a rugged but sensitive cowboy who puts himself at physical risk during competitions. While there’s plenty on the Internet about the movie’s plot, little information exists about the man who plays the role of Luke Collins. Given the focus of this website, I will explore the physical characteristics of Scott Eastwood and give details about what this actor likely does to stay muscular and fit. Along the way, I will also provide some background on Eastwood’s life story, which may help to inform how we experience this rising star in the here and now. He was born Scott Clinton Reeves but later changed his surname to Eastwood once he began his acting career in earnest. Scott was born in sunny Monterey, California but spent much of his time as a youngster growing up in Hawaii. 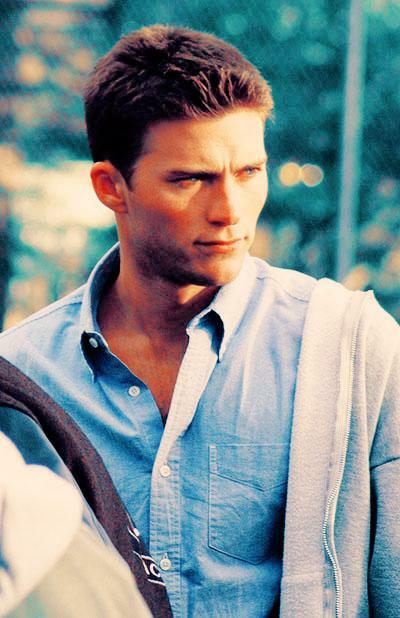 You may have seen Scott Eastwood before on television or in magazines. The actor already has a number of credits under, including an appearance in the movie, Flags of Our Father, staring his father, Mr. Clint Eastwood. Scott has also had parts in Gran Torino, Chicago Fire and Chicago PD. On the print magazine front, he’s been featured in Town and Country plus GQ (British edition). With his new movie set to come out in 2015, many people have naturally become curious about the actor’s background. For guys who hit the gym regularly, Scott Eastwood’s workouts are of particular interest. Women of course want to know if he’s married – or – who he is dating. I’ve studied this celebrity in the making and can share with you some observations that may help to provide context to how we experience him in the here and now. 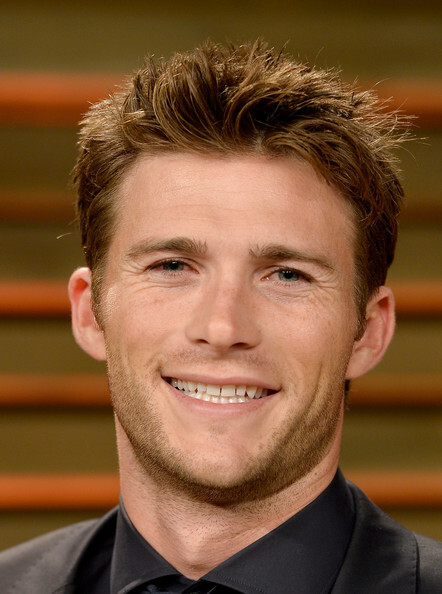 Information about Scott Eastwood’s romantic life remains elusive. The public record suggests that he was in a relationship with singer and actress, Jena Kramer and then later involved with Brittany Brousseau. In the case of Brousseau, the two are rumored to have broken up in the fall of 2014. Scott Eastwood appears to have a friendly, laid back and outgoing personality. Going by the interviews, he also appears to be a fairly private man. He may be guarding the details of his personal life because he realizes that as the son of Clint Eastwood, anything he does it going to make news. That is grew up in Hawaii – away from the harsh, intrusive lights of Hollywood – suggests that he understands that value of privacy. What we do know, based on the interviews, is that Scott is a big time outdoors person who is particularly fond of the ocean. Given his family background and the fame of his pops, he may be attracted to clear, blue waters because of an understandable desire to be open and free – away from the shadow of his father’s fame. His super blue eyes match the Pacific Ocean he is so very much attached to. In many ways, Scott Eastwood has a similar look to mega-watt celebrity, Chris Pine but has the gentle personality of now deceased, Paul Walker. Walker, who died in November of 2013, was a notoriously private person who was also born in California but spent a lot of time in Hawaii. Scott Eastwood stands at 5’11 and appears to weight somewhere between 160-170 lbs. He is well built with a chiseled physique. He has brownish-red hair that takes on golden hews, depending upon the lighting. In many ways, his physical appearance resembles that of his father, Clint Eastwood. Scott Eastwood is your classic mesomorph body type. Generally speaking, mesomorphs typically have a medium build and height. People who are classified as mesomorphs can gain and lose weight easily but may struggle to pack on muscle. Other stars that are considered to be in the mesomorph spectrum include Chris Pine, Cam Gigandet, Nick Zano and Alex O’Loughlin. Given Scott Eastwood’s body type, coupled with photographic evidence and interviews given by the actor, we can draw some conclusions about his possible workout routine. Keep in mind that Scott is physically active and likes to be outdoors. His hobbies include skiing, fishing, surfing, golfing and swimming. These aerobic activities help to give the man the cut physique he currently enjoys – which is something all mesomorphs should keep in mind as a natural way to build muscle. He was part owner of a bar in San Diego and put himself through college mixing drinks at various locations. Alcohol of course can negatively impact body weight and make it more difficult to add muscle. Again – this doesn’t seem to be a problem for Scott. Bear in mind, most mesomorphs are able to eat what they want because of a naturally high metabolism. If Scott Eastwood is combining resistance training and cardio into his daily routine (safe bet to say he is) then he will continue to have the impressive physique you currently see. As he gets older, he will want to avoid falling into the trap of blowing off workouts. Otherwise, he will find it difficult to maintain muscle mass. Chances are that Scott Eastwood doesn’t need to do a lot at this point in his life to maintain his fresh, youthful appearance. When you look closely at his face however, you will notice several heavy creases and lines around the eyes and mouth (similar to his father). Some of this cannot be helped and is a function of genetics. I am going to walk you through his likely skin and hair-care routine for those of you who might be interested in copying what he might be doing for inclusion in your own self-care routine. I strongly suspect that Scott Eastwood uses simple, over the counter products to wash and moisturize his face. Examples include Jack Black Pure Clean Facial Cleanser (Amazon) and Double Duty Face Moisturizer with a SPF 20 (See Amazon). Because this actor is fond of the outdoors and loves being by the water, he likely uses a non-greasy sunblock when exposed to the sun’s harmful rays for an extended period of time. Scott Eastwood is now in his 30’s. He currently has a full, flowing head of hair that is thick and somewhat wavy. This, however, will change as he ages (as for all men). Based on photographs, he appears to have been passed on the dominant genes of his father. This means that as time goes on, he will likely lose hair in the forehead area and perhaps anterior of the head. Starting right now, he should consider using something like Finasteride and perhaps Minoxidile (See Amazon for pricing) to minimize the effects of male pattern baldness. Given Scott Eastwood’s laid back personality, I suspect he doesn’t fuss a great deal over his hair unless he is taking part in an acting role. He likely has a simple hair care routine and uses products like Redken Clean Spice, 2 in 1 Conditioning Shampoo (Check price on Amazon). He may, however, want to consider a product in the future like Redken’s Intra Force shampoo for naturally thinning hair, coupled with a conditioner that is lightweight and non-oil stripping, like Jack Black’s True Volume Revitalizing Conditioner. Scott Eastwood appears to have a very bright future ahead. He is a talented actor who has a wide range. In terms of muscular strength and development, Scott really just needs to keep doing what he is doing. He is not overbuilt and has “the look” that many guys want to achieve. The best part about this actor’s appearance is that it is natural. I hope you found the information on Scott Eastwood useful! Tattoo Ideas for Men: 7 Celebrity Examples! We will have to see! As far as his private life goes, it seems that is always managed by the PR folks for sure! How did you find out that his weight is 160-170b? Is it just a guess or did you find that out from somewhere? I’ve seen it in a few places and the general consensus seems to be between 160-170. Thanks for coming by! Can a Straight Guy Fall in Love with a Gay Man?